Osaka is one of the most vibrant cities in Japan, and while it's also one of the largest, exploring key parts of this historic town can easily be accomplished in one single day. While spending more time here is always recommended to get to know the inner workings and subtleties of the city, if you're just stopping over you can easily fill your day with exciting things to do and amazing places to eat. In 645, Emperor Kōtoku made Osaka the capital of Japan and for years Osaka prospered and grew. Eventually, the capital was moved to Tokyo but Osaka continued to be a flourishing port city and commercial centre for Japan. Today, many people flock onto its streets for one main thing: the food! Start your morning off at Osaka Castle. The history of Osaka Castle dates back to 1583 although the building you see here today is a far cry from the original. Wars, sieges and bombing raids destroyed the structure many times over the years and the current incarnation is a reconstruction from 1995. The castle is now used as a museum dedicated to the history of the castle and Osaka. While the museum is pretty interesting, for our purposes today, we're just going to take a walk around the grounds. You can still see so much of the castle from down below and the incredibly beautiful moats and tree lines passageways which surrounding the castle are a relaxing way to start your morning rather than crammed into a line to see inside. Surrounding the castle are a myriad of food stalls selling some of Osaka's culinary specialties. I would opt for the yakisoba, a delicious noodle dish covered in oyster sauce and topped with pickled ginger. Strangely enough, it makes for a delicious breakfast and a decidedly Japanese one at that. You can get it to-go and eat it in front of the picturesque castle moat which surrounds the entire castle. Next stop is the Kuromon Ichiba Market. The Kuromon market has been open as “the nation’s kitchen” since 1601. 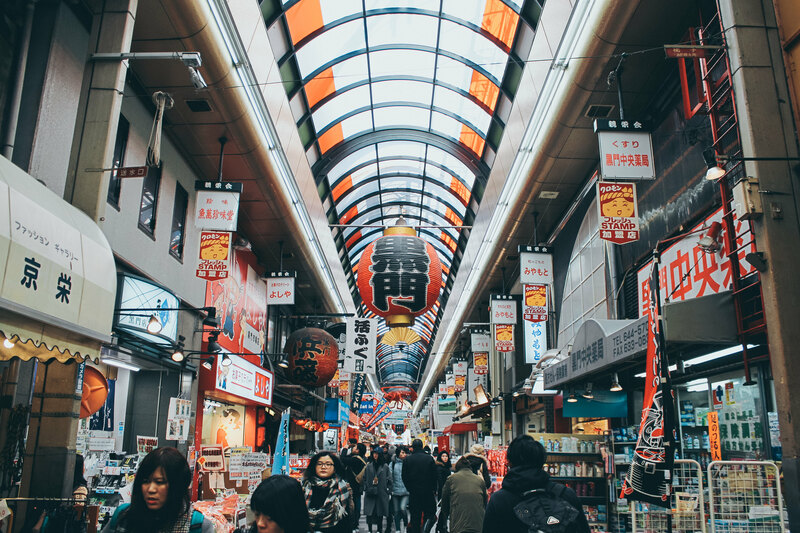 Its bustling narrow alley serves up fresh sushi and sashimi, meat, produce and a collection of housewares and souvenir shops. Although there are plenty of grocery stalls, there are also dozens of small restaurants along the alley where you can grab a delightful little lunch. Try to arrive either before or after 12 pm to ensure it's not too busy and you miss the lunch rush! 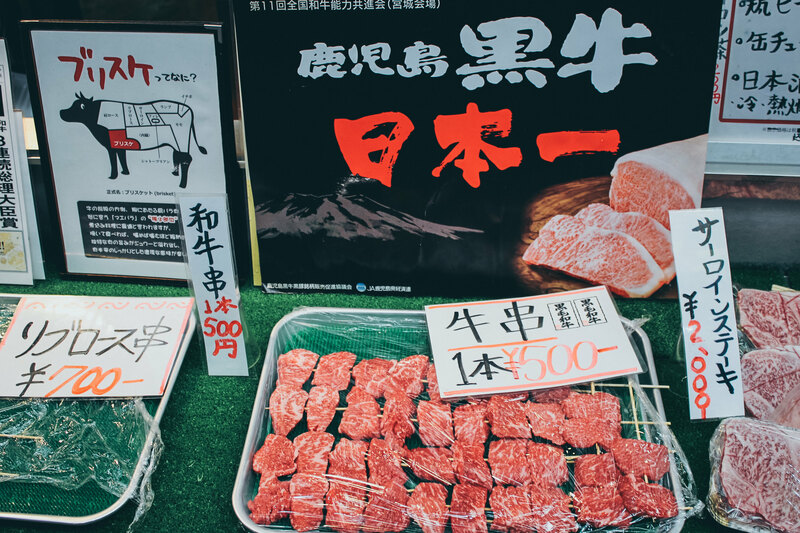 While Tsukiji in Tokyo is most notable for their fresh fish, Osaka is famous for their choice cuts of Wagyu and Kobe beef. You can pick out your desired cut and certain shops will cook it right up for you then and there! Just add a little salt and get ready for a transcendent taste experience. After stuffing your face at the market, work off all those calories with a short 15-minute walk over to Nambayasaka Shrine. If you've been in Japan for some time now you might think, "another shrine?" but trust me, this one really stands out. Approaching it, even from afar, you'll notice it right away. The shrine was designed in the shape of an enormous lion's head. The area of Osaka we've now entered is Namba, and this is it's main Shinto shrine. While many temples in Japan are Buddist, brought to Japan by the Chinese, Shinto is Japan's native religion. Each Shinto shrine worships a particular spirit or "kami". 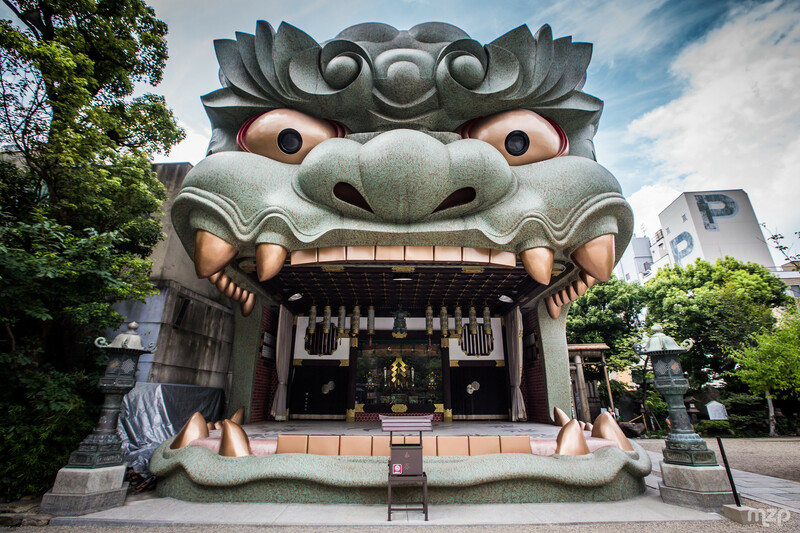 At this temple, the spirit lion is said to swallow evil spirits and bring good luck to those who come to pray. So if you have any evil spirits to get rid of, this is the place to do it! 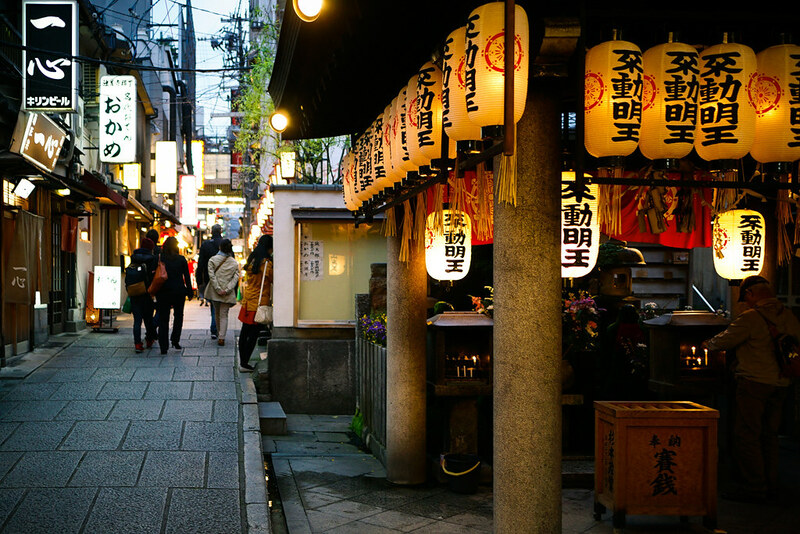 Walk up through the charming side street of Namba, towards Hozenji Yokocho. Hozenji Yokocho is a tight little alleyway whose architecture has been preserved as a relic from the Edo period. Stepping under the gates, flanked on either side by bright red lanterns, you enter a peaceful oasis. Study the architecture tightly squeezed in on either side. Stop by the nearby Hozenji Buddhist temple, which dates back to the 17th century. This temple gives the name to the area and features an ancient statue of Fudomyoo who is completely covered in moss. Blessings are given by pouring water over the statue, keeping the moss nice and healthy, and best of all, bright green! It really looks like a tree sculpture instead of a stone statue. Our next stop is over in "Amerikamura". While some places might send you to the more popular Shinsaibashi shopping arcade, I find it rather commercialized and lacking the, sometimes odd, characters that Amerikamura has. You might think it odd to visit somewhere inspired by America if you're looking for a Japanese experience, but this is Japan's idealized version of America. It's fascinating to study if you lived or have ever been to the US before. Colourful and quirky shops line the street and even more quirkily dressed teenagers relax outside hip coffee shops and lively bars. This is the best place to find well priced and fantastically curated thrift shops and indie clothing brands. If you're a little peckish before dinner stop by Hokkyokusei where you can sample the now internet famous omurice. Omurice is an omelette stuffed with rice and slathered in a thick red sauce. When you cut it open down the centre the entire thing melts down the middle in a sensationally pleasing fashion. It's delicious and the perfect little bit to eat to tide you over before dinner. As night begins to fall it is time to make your way over to the neon streets of Dotonburi. While the biggest highlight inside Dotonburi is the food, the architecture and spectacular light show is nothing to scoff at. At night, the entire area comes alive and the lights of the buildings dance on water along the Tombori River. “Dotonbori” is named after Yasui Doton whose vision in 1612 was to create two canals which would connect this area to the Kizugawa River, therin increasing it's commercial and trading power. War greatly affected his plans and unfortunately, he died before seeing his vision come to fruition. His cousins took over the concept after Yasui Doton's death and named the area after him. One of the most famous neon signs in Dotonburi is the Glico-Running-Man. This billboard has been located here for over 70 years and is the oldest sign on the street. It is over 33m tall and stands imposingly over the iconic Ebusu-bashi bridge. Glico's primary business is manufacturing confectionery products so it might seem odd that its mascot is an athlete but that's just how Japan is, unexpected. Be sure to stand on the Ebisu Bridge and look out at the river and the beautiful flashing signs on either side. This is the perfect spot for a photo opportunity or just to take a moment to drink in all the incredible imagery which Dotonburi is so famous for. But there is one reason you probably came to Osaka and that's to eat, and Dotonburi is the place to do it. What's great about Dotonburi is that all the food options here are small, not like huge meals, so you can sample a myriad of Osaka's culinary treasures in one night. The first stop on your food tour should be Takoyaki. This iconic ball-shaped delicacy is the most popular treat from Osaka. Made from an egg batter and filled with juicy piece of octopus, the batter is then poured into a round pans and shaped into adorable little balls. Then its covered in savoury sauce, mayo, pickled ginger and topped with bonito flakes. There are so many vendors so just find the one with the biggest line (always a sign for the best food in Japan) and wait for your turn to dig in! Next up is the famous Kani Doraku Dotonburi Honten. This sign is one of the most popular photo spots in Osaka due to the 3-meter wide moving mechanical crab which is located on the front of the building. You can dine inside with views over the river but you can also grab cheaper grilled crab legs right outside the entrance to the restaurant. They are not super cheap but juicy, sweet and incredibly fresh. Next up is Gyoza at Osaka Ohsho. Once more, you'll see giant versions of the gyoza plastered up on the front of the building as you enter. Ordering here is very simple since there is only one option (meat and chives) and you just need to tell them how many order's you'd like. Get a seat inside at one of their tiny tables and dress your gyoza with their variety of zingy sauces. At the very end of Dontonburi is Creoru Takoyaki & Okonomiyaki where you can sample Osaka's own version of okonomiyaki. 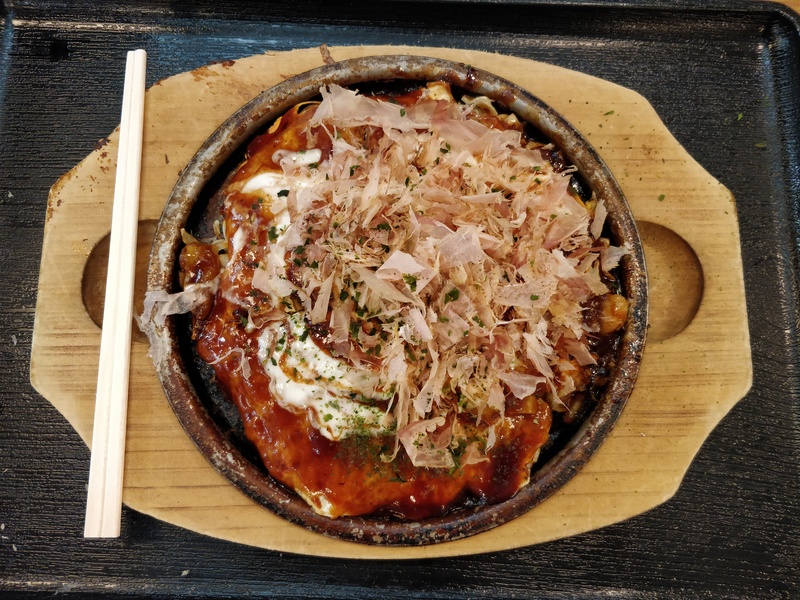 Osaka differs in this dish by adding grated yam potato to the batter and does not include noodles as some Okonomiyaki in Tokyo and Hiroshima are made with. It is a simple and clean version due to the lack of carbs and allows sampling of many different filling combinations. After all these incredible savoury dishes, it's time for something sweet. One of the most popular street sweets is freshly baked melon "pan" or melon bread which is filled with a giant scoop of ice cream. Despite the name, there is no melon inside. The crust pattern on top of the bread when it cooks gives it a melon looking appearance, hence the name. The combination of the hot and cold is perfect for any kind of day! If you're still hankering for something sweet, check out Pablo Dotonbori's cheese tarts. These world famous tarts are buttery, crispy and perfectly sweet. They often have a big line but it moves really quickly and is worth the wait. There are various flavours but the classic and the macha are fan favourites. 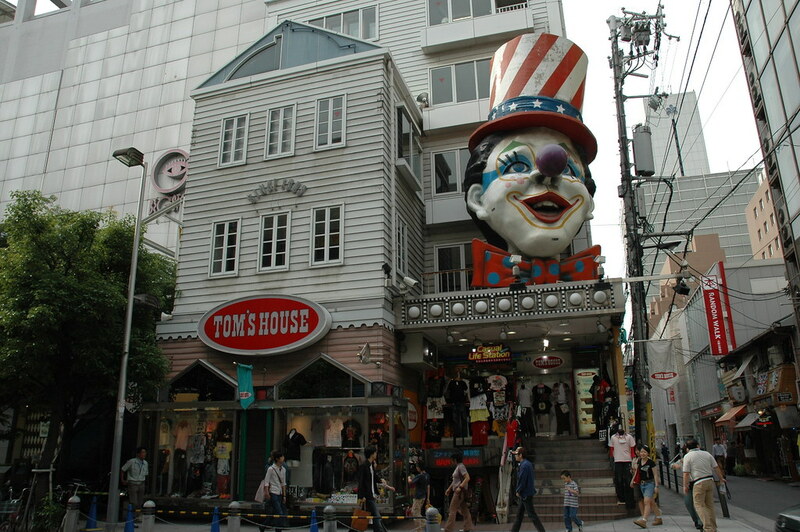 Don Quixote is a famous superstore across Japan but the one in Osaka is even more popular due to the fact that is has a giant, 77 meter tall Ferris wheel on its exterior. 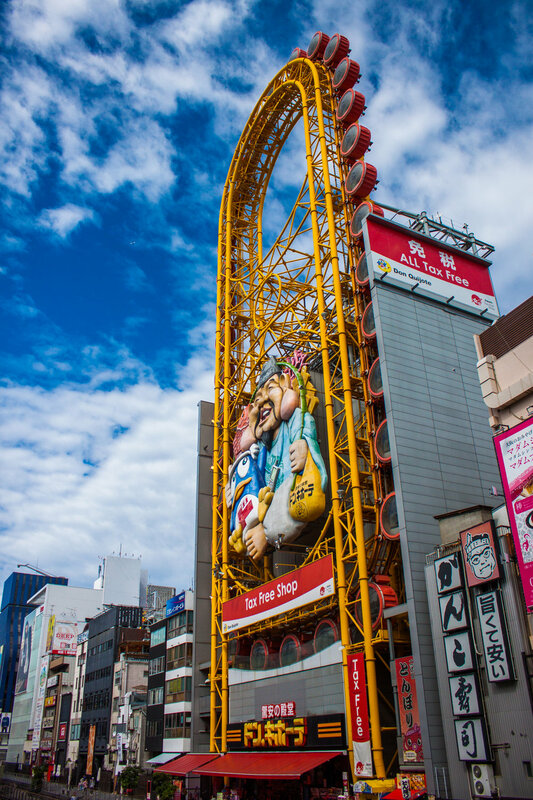 It's bright red and yellow tracks and huge mascot characters on the facade made it a popular photo opportunity despite the fact that it went out of service years ago. But thanks to its fandom, it was recently renovated and reopened to the public. Take your chance now before it closes down again to jump in a experience stunning views across Dotonbori. 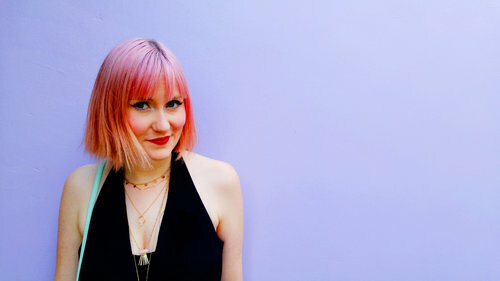 End off your night with some retro fun at Space Station. This bar is filled with retro video games, cheap drinks and amazing company!